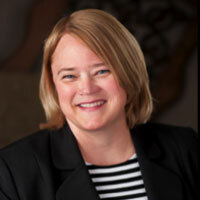 Sarah Couch is Director of Client Services at Reams Asset Management. In this role, she leads the Client Services team and is responsible for providing Reams’ clients with outstanding client service. Sarah has over 20 years of combined experience in client service, relationship management, and financial reporting and analysis. Prior to joining Reams in 2018, Sarah was the manager of Member Services for I-Light, Indiana’s research and education network for higher education, and she held various financial management and analyst positions at Indiana University and Indiana Bank and Trust. Ms. Couch earned her master’s in business administration from Indiana University and her bachelor’s degree from Harvard University.